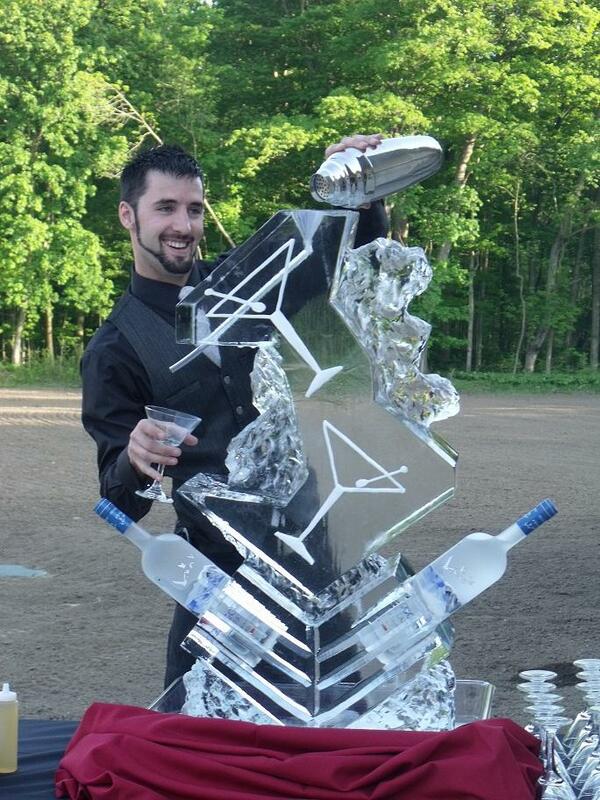 A vodka luge or ice sculpture is a fantastic addition to any party or event. It turns into a focal point and also doubles up as an alcoholic drink dispenser. An intricately carved ice sculpture can be mesmerizing and spellbinding and you can be certain that your guests will compliment it and your taste. However, the problem with ice sculptures and luges is melting. Is there a way to stop the luge from melting? No matter what you do, you will not be able to prevent your vodka luge or ice sculpture from melting: that is if you keep the sculpture is an average room temperature of 70 degrees Fahrenheit. The only way to stop your precious sculpture from melting is by keeping the luge in a climate controlled room, where the temperature is a 32 degrees Fahrenheit. Alternatively, it is freezing cold outdoors, you can display the sculpture with pride and hope a heat wave does not elevate the temperature! Remember, it has to be below freezing to preserve your luge for a certain period of time. There are a few things you can do to slow down the melting process. It is prudent to remember that the luge will melt proportionately, so the silhouette of the sculpture will last for any given event. If the vodka luge is going to be placed indoors, place it in the coolest part of the room, away from direct sunlight and fireplace. Also, make sure the surroundings are cool – there should not be stage lights or spot light emitting intense heat in the area. It is best to place the sculpture close to an air conditioning vent, so that the cool air coming out of the vent can reduce the amount of ice that melts. Ask the ice sculptor to make thicker vodka luge. This would mean using a lot of ice, which will increase the overall weight of the sculpture. While this will not really slow down the melting process, it will create an illusion that the process has slowed down. And, the sculpture will hold its form for a longer period of time. If you are hosting an event outdoors, be prepared to place the ice sculpture under an umbrella that is situated under a tree. The more shade you have, the better it will be for your ice sculpture. Refrain from constantly touching the sculpture, as the heat from your hands will cause it to melt faster. There is no doubt ice sculptures are a piece of beauty, creativity and art. Each aspect of the sculpture is intricately carved into the ice and the end result is often spectacular that can leave you in awe. However, this piece of art is perishable and has limited lifespan. At normal room temperature, you can expect your vodka luge to keep its form for about 7 to 8 hours. That should be time enough for you to make good use of the sculpture and ensure your guests have a wonderful time. Just remember, the finer details will melt first, but the overall figure of the sculpture will stay intact for those 7 to 8 hours. Rather than looking to preserve the ice sculpture longer, you should be looking to derive maximum pleasure and usage from it. If the sculpture serves its purpose – that of a vodka luge – it is a huge success. And, if your guests admired the sculpture for its finer points and intricacy, you know you made the right choice by including a vodka luge in your event. That is what is most important.